Believe it or not, laundry tech is a hot topic at CES 2015 this week. 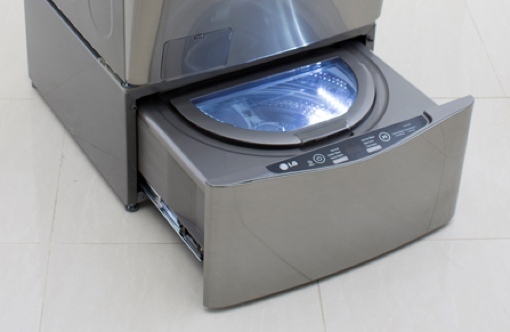 From automatically sensing exact load sizes to hiding a second, smaller washing machine in a pedestal, our favorite washing machines from the consumer electronics event have killer features that go well beyond simple smart home connectivity. Want to see the future of laundry for yourself? Here are three newly announced washing machines that caught Techlicious’s collective eyes at the show. As reported earlier in the week by Techlicious, South Korean electronics giant LG’s new Twin Wash system allows you to run two loads of laundry at the same time. This is accomplished thanks to a smaller, separate washer (WD100C/200C) that hides in the larger washer’s pedestal. The mini washer pulls out like a drawer and is designed to handle delicates, gym clothes or any smaller cycle of laundry you wish to run with its own unique settings. The smaller WD100C/200C washer will be sold separately and can be paired with a number of LG front-load washers. Its price and availability has yet to be announced. Like the LG Twin Wash, the Samsung Active Wash does double washing duty. 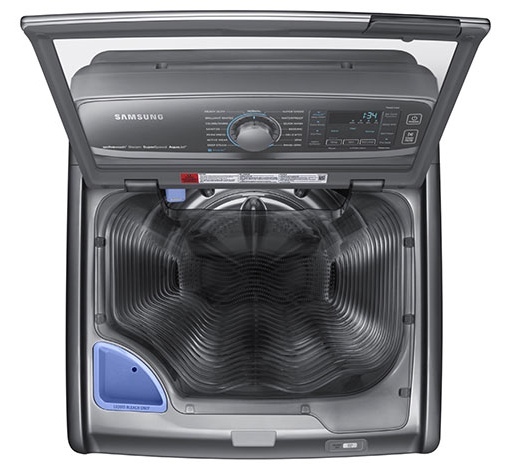 But instead of a second washer, Samsung’s machine has a sink with a water jet built in to its lid. This ingenious feature allows you to easily pre-treat stains before starting a load of laundry. The textured sides, meanwhile, make it easy to scrub and hand wash your delicates. When you’re done using the sink, the water drains directly into the machine (which, by the way, can finish a full load in just 36 minutes). It’s the perfect feature if your laundry room currently lacks a washbasin of its own. The futuristic-looking Samsung Active Wash will be available in both white and platinum colors when it’s released later this spring. The price has yet to be announced. The new Whirlpool Cabrio top-load washing machine (WTW8700EC) takes away the confusing settings of old and replaces them with much more simple, customized cycles: You simply tell the machine what garments you’re washing and when you need them cleaned by via a touchscreen display. (And yes, “mixed” is an option for those of us who are too lazy to separate out our clothes.) Sensors then help determine the size of each load so the washer can fill with exactly the right amount of water at exactly the right temperature. The Cabrio can be monitored and managed from afar using the Whirlpool 6th Sense Live app. 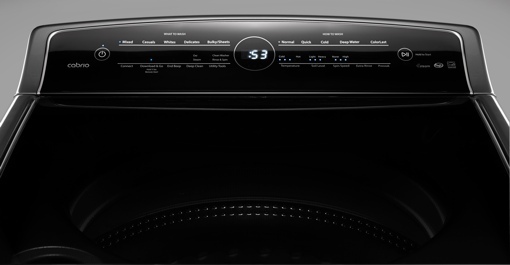 It allows you to check the time left in a load, get alerts when laundry is done and initiate other features remotely. The Cabrio also integrates with the Nest smart thermostat, allowing it to intelligently delay loads until after peak energy rate hours to save you money. One of the most intriguing new features of the Cabrio is one that’s totally unexpected. Called Connect to Care, it allows you the option to automate small personal donations to Habitat for Humanity with each load of laundry you do via the Whirlpool app. “This feature enables families to make caring for others as easy as doing a simple load of laundry,” says Chelsey Lindstrom, manager of brand experience for Whirlpool. The new Whirlpool Cabrio WTW8700EC will begin shipping in April 2015. The washer will cost you $1,300, the same price as the companion Cabrio electric and gas dryers. I really love LG Twin Wash. It looks like a drawer. it looks comfortable.